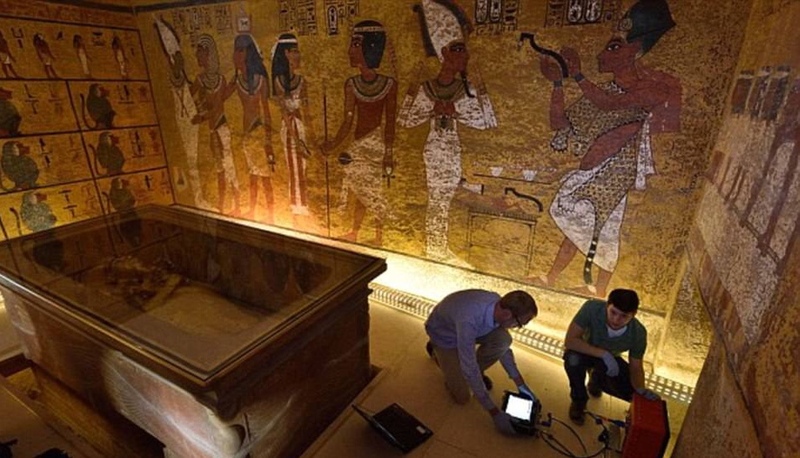 Secretary-General of Egypt’s Supreme Council of Antiquities Mustafa Waziri denied on Wednesday media reports that a15-metre-deep hole was discovered behind the walls of Tutankhamun’s tomb during a third radar survey carried out on the western and northern walls of the king’s burial chamber. The survey started early in February and lasted for one week. Director of the Department of Foreign Missions Mohamed Ismail told Ahram Online that the head of the survey team says that at least three weeks are needed to study the results of the survey. Ismail also denied media reports of a new archaeological discovery in the area, describing these reports as a breach of the antiquities law, which stipulates that any announcement should first be approved by the ministry’s permanent committee in order to ensure scientific credibility. In 2015, British Egyptologist Nicholas Reeves published a theory suggesting that the northern and western walls of Tutankhamun's tomb house hidden doorways that could lead to the final resting place of Queen Nefertiti, the wife and co-regent of the monotheistic King Akhenaten and the golden king’s step mother. Reeves’ theory was based on his examination of 3D photos of the tomb. Former Minister of Antiquities Mamdouh El-Damati was enthusiastic about the theory and asked reeves to travel to Luxor to prove his hypothesis. Two radar surveys and an infrared examination have since been conducted, but have given inconclusive results. A Japanese radar survey suggested the existence of void spaces, while a survey by an American team asserted that there is nothing behind the walls. 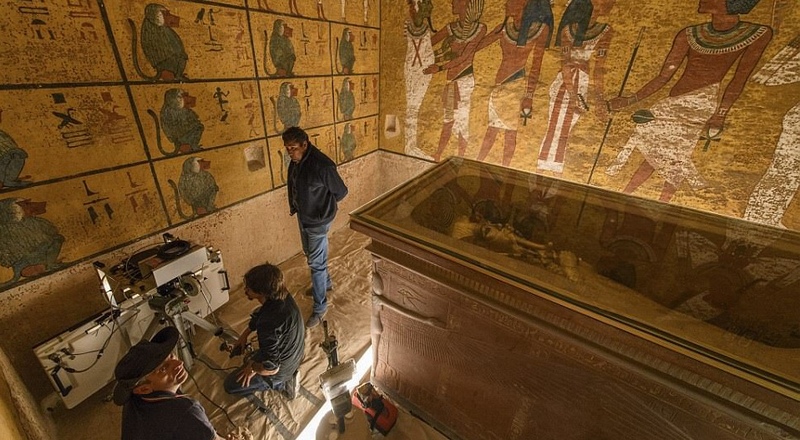 Meanwhile, the infrared researchers asked to re-examine the walls as the environment inside the tomb was not conducive to accurate results. The third radar survey was then conducted by an Italian team from Turin University to settle the matter.